Farrow & Ball wallpaper in Samphire. 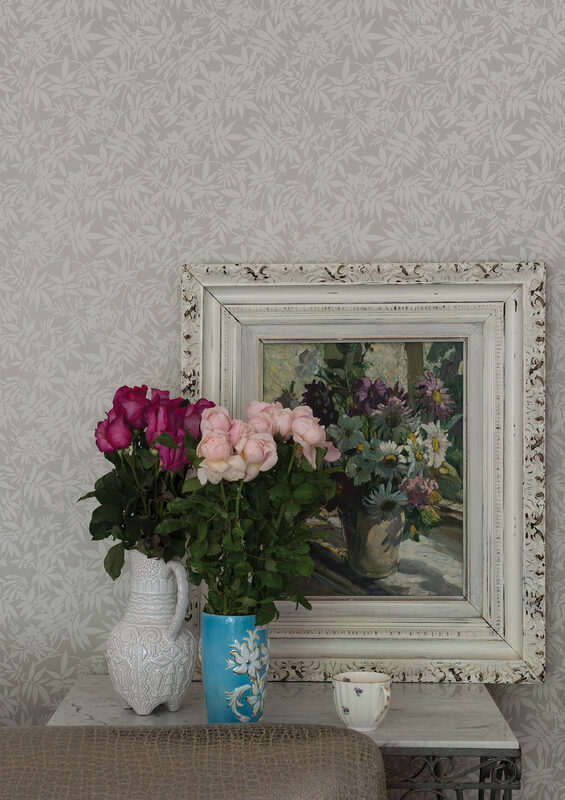 Farrow & Ball wallpaper in Jasmine. Farrow & Ball wallpaper in Parquet. 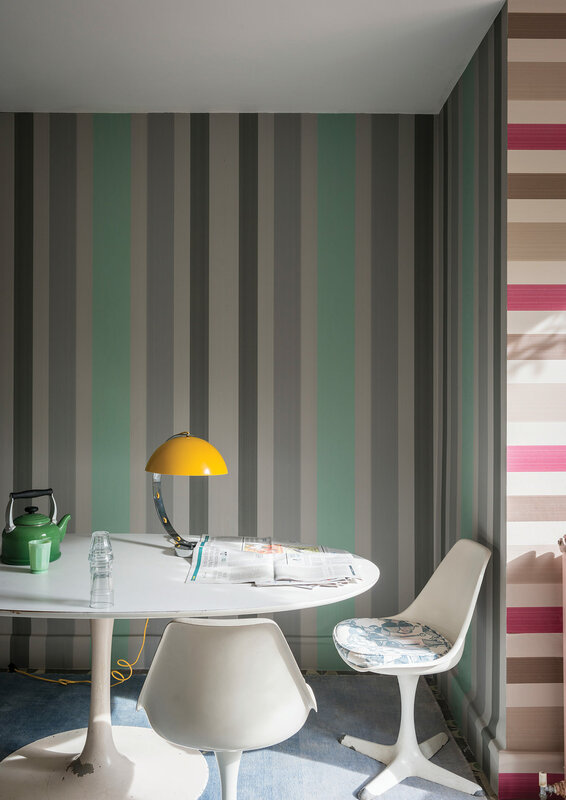 Farrow & Ball wallpaper in Chromatic Stripe. Welcoming spring, for some, is synonymous with the task of cleaning and reorganizing the home. But there are alternatives to the dustpan when tidying or reviving a space. 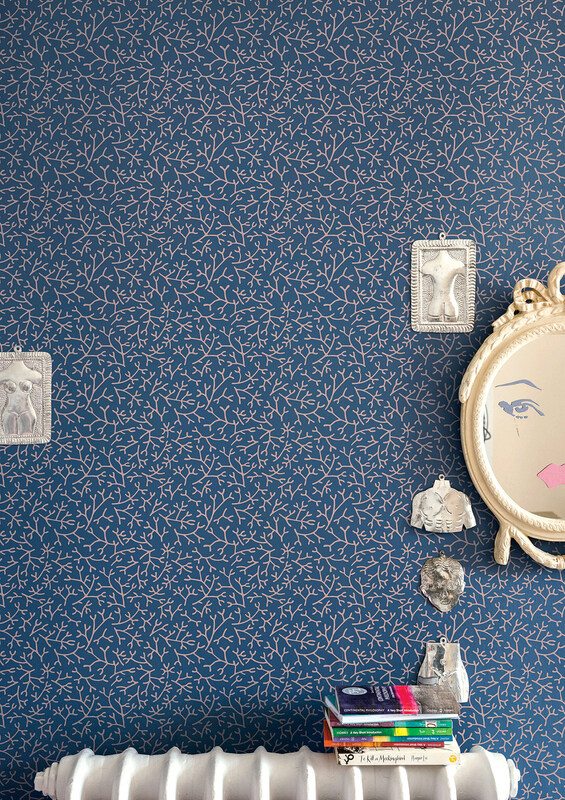 Look no further than Farrow & Ball, based in Dorset, England; the company of craftspeople creates textures and traditional designs in the form of handmade wallpapers. All papers are made using age-old methods and with the company’s own paint colours, developed in house. 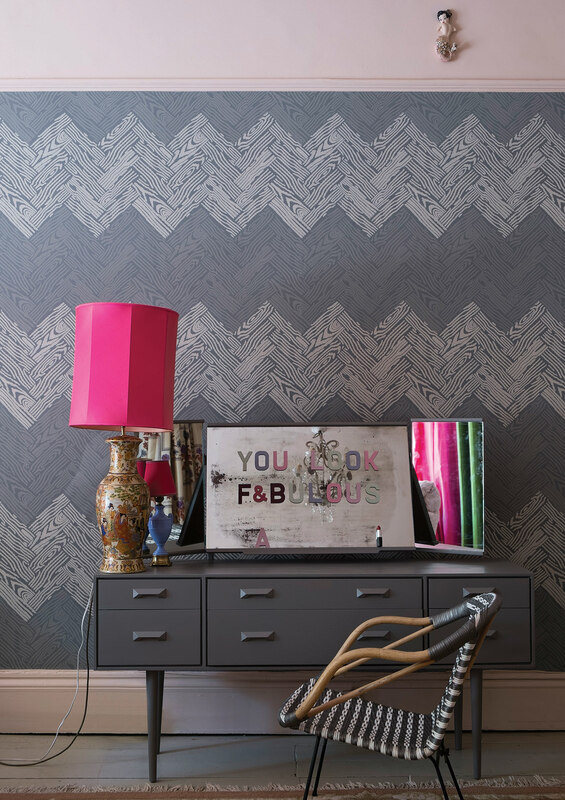 This past January, Farrow & Ball unveiled four new wallpaper styles (Jasmine and Samphire are plant-inspired prints, Parquet is a tribal herringbone design, and Chromatic Stripe is a bold, trough-printed stripe) that reimagine classic designs with a refreshing, contemporary feel.